EZ Style TNC/Male Connector for LMR-400®. 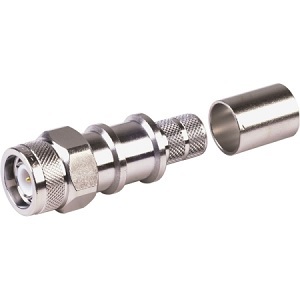 This TNC/Male connector feature a threaded coupling nut for applications requiring performance through 7 GHz. To attach to coax all that is needed is a standard .429 hex crimp tool (you must still strip the coax, of course).